When you are admitted into college, you and your family will have a variety of questions about how your family will be able to maintain the costs for your college education. 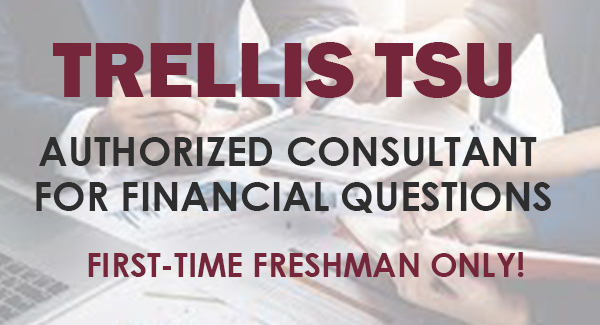 One of the most frequently asked questions among college applicants is, “How do I cover the costs for tuition, housing, meals, transportation and books.” Each family’s strategy will be different based on their personal circumstances. There are numerous options available to make your education affordable. 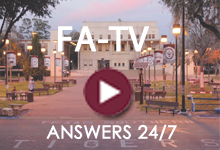 Texas Southern University offers many financial aid options to help you pay for college costs. Within this site you will find information about applying for financial assistance, costs, types of aid and more. Note: This is an estimated projection and not a binding contract with TSU. All fees are subject to change. (1) Housing costs may vary depending on room type and meal plan chosen. 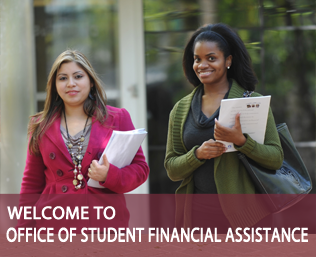 The first and most important step is to apply for financial aid. Fill out the Free Application for Federal Student Aid (FAFSA)or TASFA. Make sure that you complete the application before the March 15 priority deadline. The FAFSA provides access to federal and state based programs for all eligible students. If you are a citizen or permanent resident, you should complete the FAFSA. If you are not a U.S. citizen or permanent resident, but you are a Texas Resident, you should complete the TASFA. Students that are classified as Texas Residents who cannot apply for federal financial aid using the Free Application for Federal Student Aid are encouraged to complete the TASFA. To use this application, you cannot be paying the Texas resident tuition rate due to a waiver such as an in-state scholarship or an assistantship. Nonresidents paying the resident rate due to a waiver are still nonresidents. In order to be considered for Texas Southern University achievement-based and need-based awards, complete the Free Application for Federal Student Aid (FAFSA); Texas Southern University’s institutional code for the FAFSA is 003642. Awards are renewable for up to three additional years of study if you complete 15 credits each semester, maintain the annual grade point average specified in the award notification, and remain in good disciplinary standing at the University. Grants are awards that the recipient does not have to repay or “free” money. Grants are provided through federal and state agencies. Most are awarded based on need, but may also include academic performance. Most require the FAFSA for consideration. Early application is encouraged for students wishing to maximize their opportunity to receive a grant. - Applicants for the TEACH must have declared education as their major, have a 3.25 GPA, and enroll full-time. - Proration may be applied to students enrolling less than full-time. The federal government offers low-interest student loans for higher education through the Federal Direct Loan Program. Funding is awarded based on the student’s classification, dependency status and cost of attendance. Although repayment of your loans may not begin until after you leave or drop below half-time enrollment, interest may accumulate while you remain enrolled depending on the type of loan borrowed. You should not be afraid to take out federal student loans, but you should be smart about it. There are flexible payment options and other discounts, as well as delayed repayment options. Interest paid on student loans is tax-deductible.